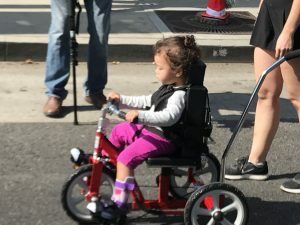 Thanks to the charity work of Ellis Law and partners, 30 disabled children will receive new specially-outfitted tricycles customized for their particular needs, allowing them to play and interact with friends and family – some for the very first time. On Saturday, October 28th 2017, attorneys at Ellis Law, working in conjunction with the Los Angeles Trial Lawyers’ Charities (LATLC), partnered with Bixby Knolls Business Improvement Association, SoCal Trykers, and Red Star Riders to assemble the bikes at the Expo Arts Center on Atlantic Avenue in Long Beach. 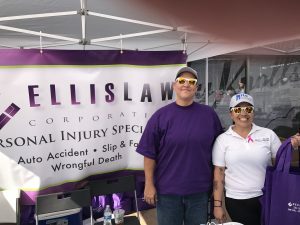 During the event, Ellis Law gave away over 5,000 items – including sunscreen, polarized sunglasses, shopping bags, flashlights, and keychains – to the community. Booths and special activities were open to the public at the presentation party. A small group of personal injury attorneys founded the LATLC in 2006 to facilitate partnerships between the legal community and over 40 local charitable organizations. Over the years, the LATLC has grown to over 2,000 supporters and volunteers with fundraisers and charity events that engage the entire community. Our partners have received over $750,000 and 55,000 pounds of food to provide holiday meals for the hungry. Ellis Law is proud to be an integral part of this organization that helps so many local residents. Ellis Law injury attorneys have lived and worked in Los Angeles for more than 20 years. We are passionate about the communities we serve and always strive to prove that commitment by donating our time, money, and talent when the opportunity arises. Law firm founder Andy Ellis helped found Old Bridge Militia, a program that provides musical instruments to high school students and rebuilds music programs. He also earned a position on the Los Angeles Trial Lawyers’ Charities board due to his years of legal service and desire to lead in this arena. We look forward to continuing the high standard set by Mr. Ellis in the years to come. If you’ve been injured in an accident, contact Ellis Law for a free case review. You owe nothing for legal representation until we win money on your behalf.